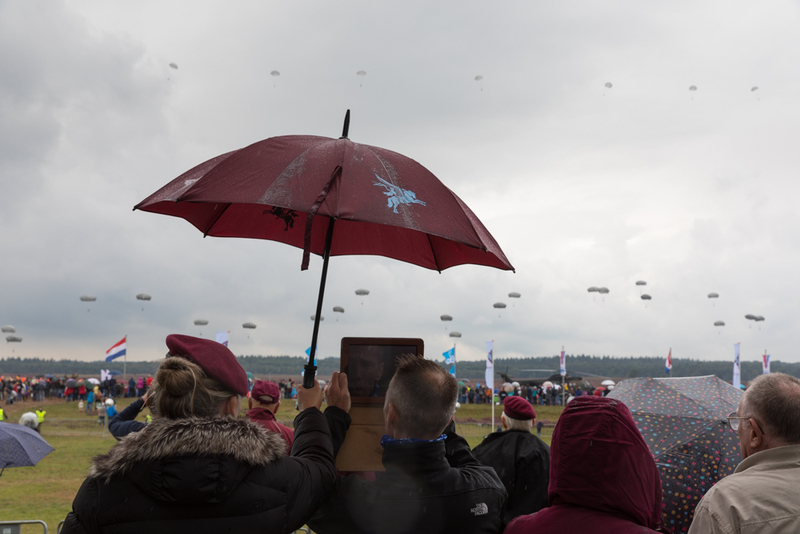 The Airborne commemoration at Ginkel Heath took place on 16 September 2017. Due to low clouds the early parachute drops had to be cancelled. 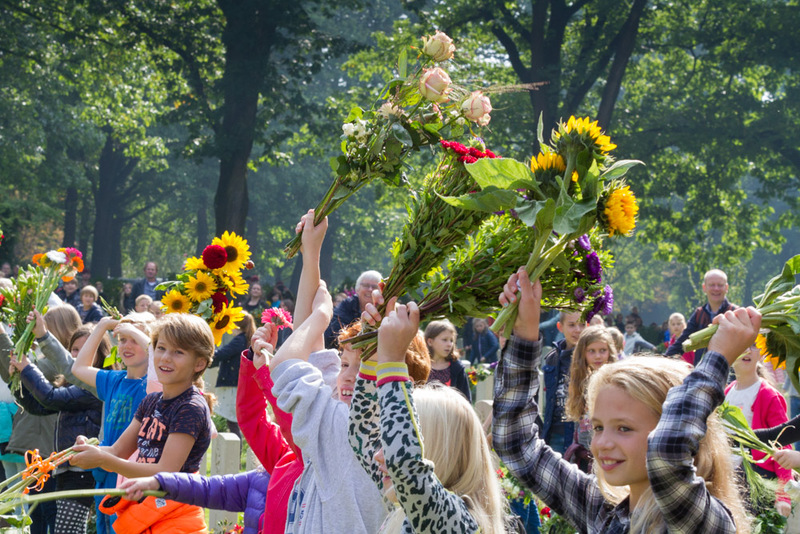 On Sundat 17 September 2017 the annual remembrance service took place at the Airborne Cemetery in Oosterbeek. 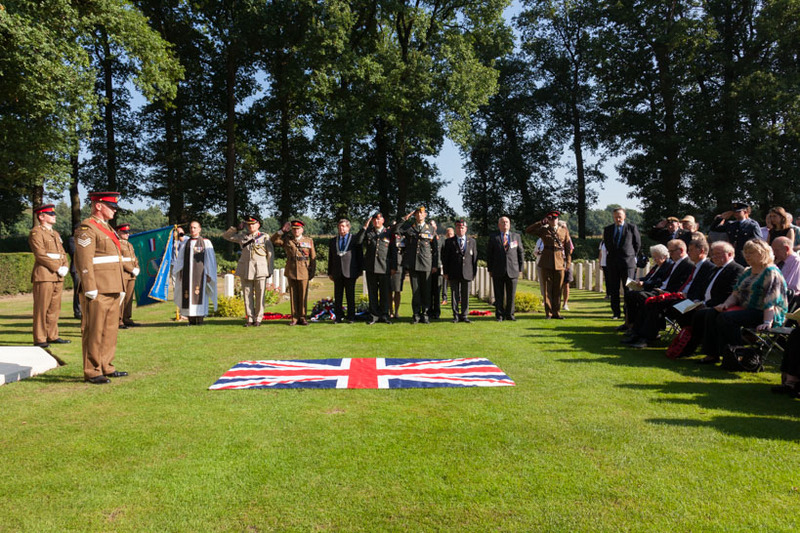 About 25 veterans of the Battle of Arnhem attended this service joined by another 25 World War Two veterans. 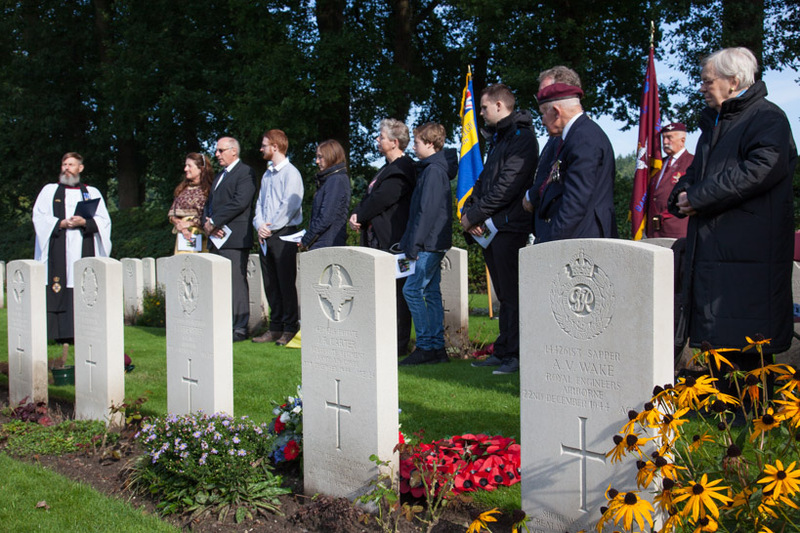 On Wednesday 13 September 2017 was a service for the rededication of the grave of L/Cpl William Loney of the 2nd Parachute Battalion at the Oosterbeek War Cemetery. 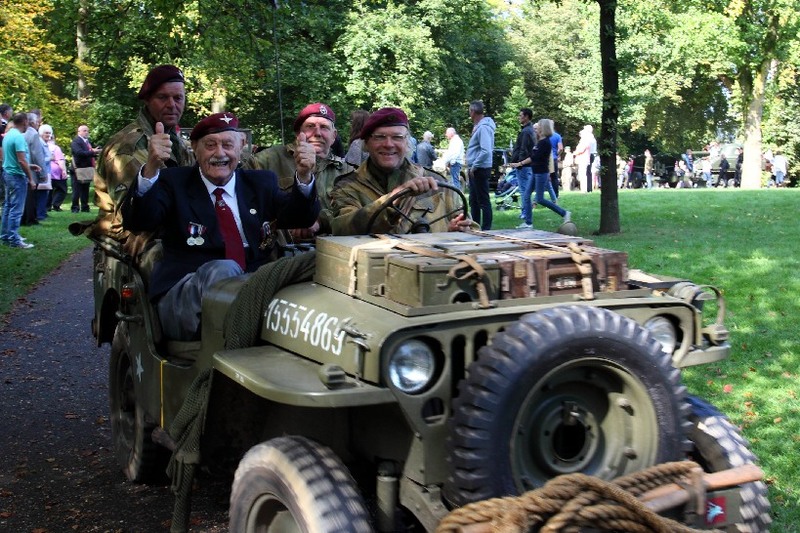 On 2 September 2017 the Airborne March was held in Oosterbeek. 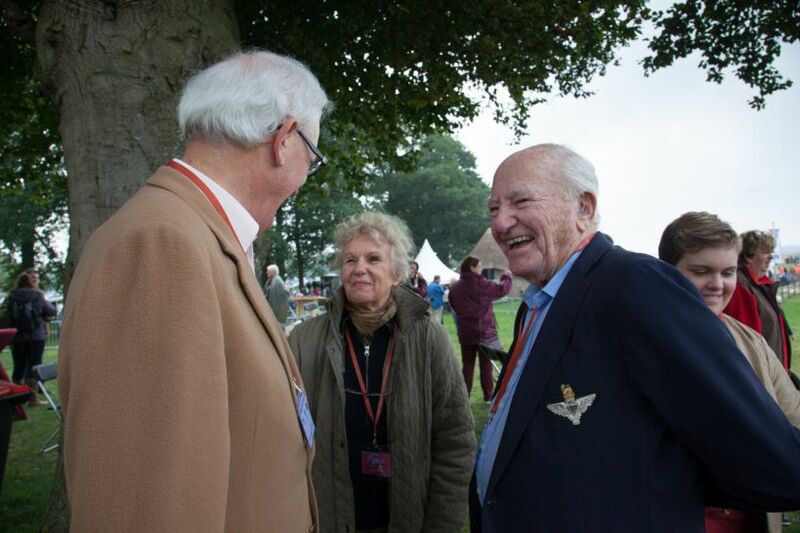 Amongst the guests were seven veterans of the Battle of Arnhem. At Carew Cheriton in the south of Wales is a beautiful WWII control tower. 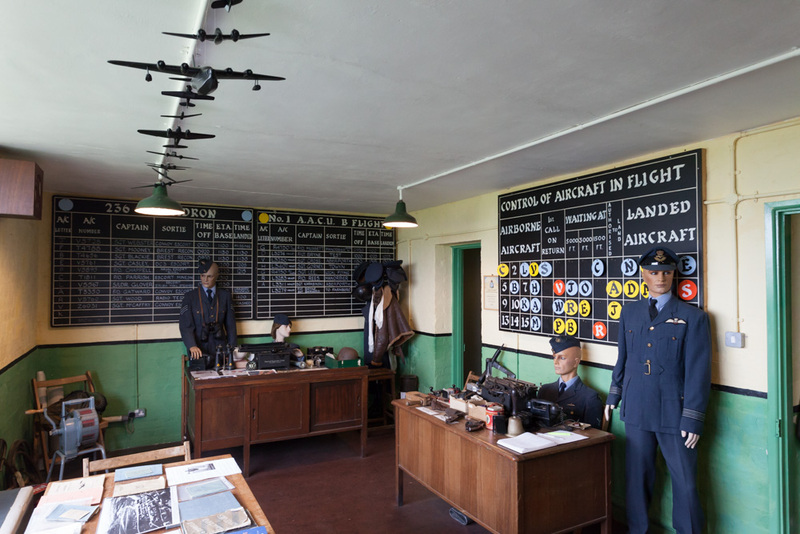 A group of volunteers restored the derelict tower and turned it in a great museum which tells the story of this historic airfield. On 30 March 2017 the information centre Airborne at the Bridge opened at the new location. 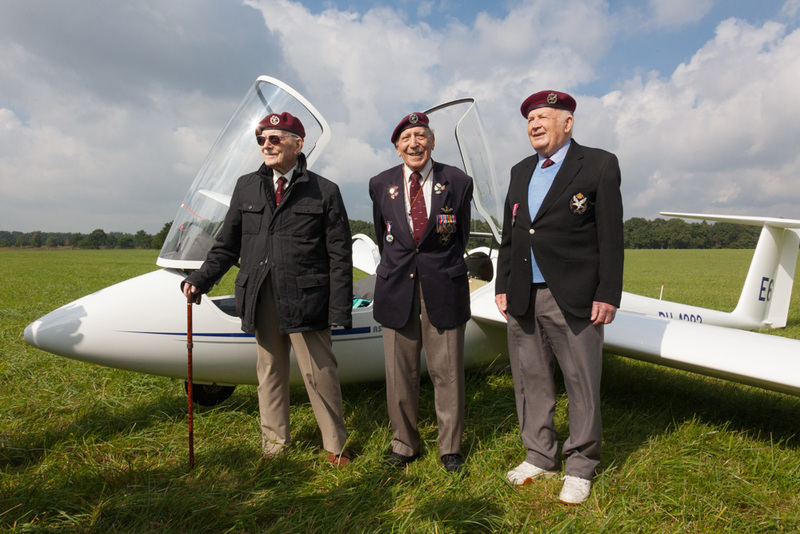 Guests of honour at this event were three Arnhem veterans: Arthur Letchford, David Whiteman and Geoff Roberts. Arthur is one of the few remaining veterans who reached the bridge and fought here. On 26 March 1943 Short Stirling I N-3709 of RAF 7 squadron crashed near the village of Etten. The aircraft was on the return flight from a bomb raid over Germany. It was set on fire by German anti aircraft guns. It had just crossed the German-Dutch border when it was shot down by a German Messerschmitt 110 nightfighter. The seven crew members all perished. 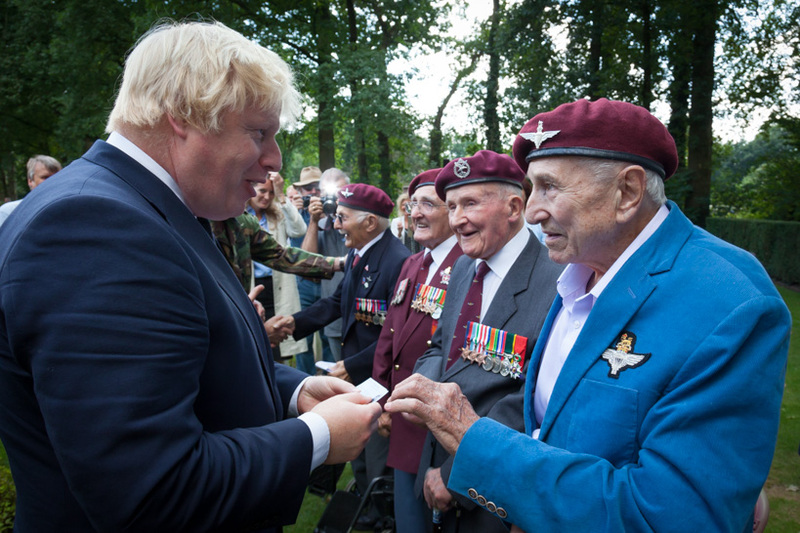 OOSTERBEEK - On 16 September 2016 the British Foreign Secretary Boris Johnson attended an extra commemoration of the Battle of Arnhem at the Military Cemetery in Oosterbeek. Also attending was the Dutch Foreign Secretary Bert Koenders. 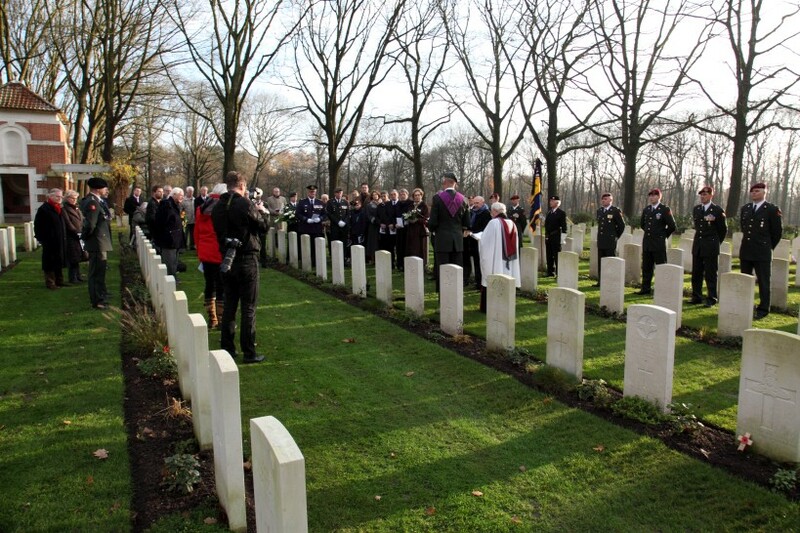 There are a couple of hundred graves for unknown soldiers at the Airborne Cemetery in Oosterbeek. These soldiers could not be identified when they were buried shortly after the war. 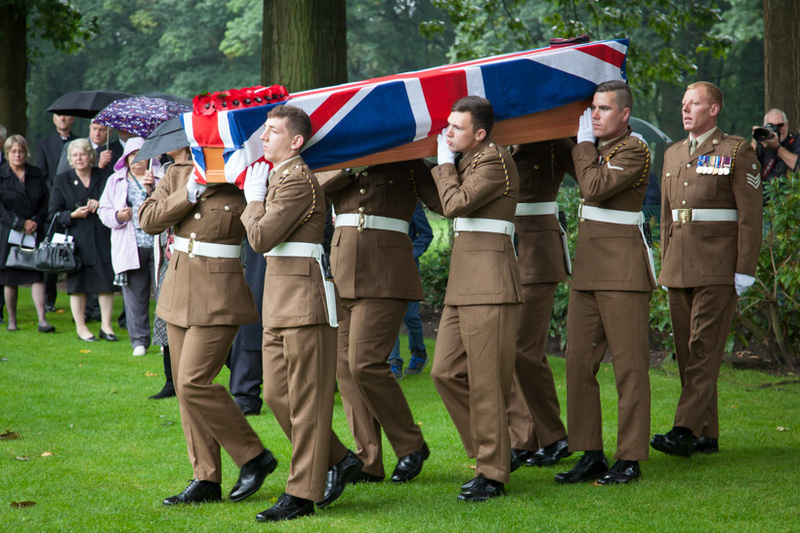 Recently and with the help of modern DNA technology six soldiers of the Border Regiment could be identified, 72 years after they had passed away. 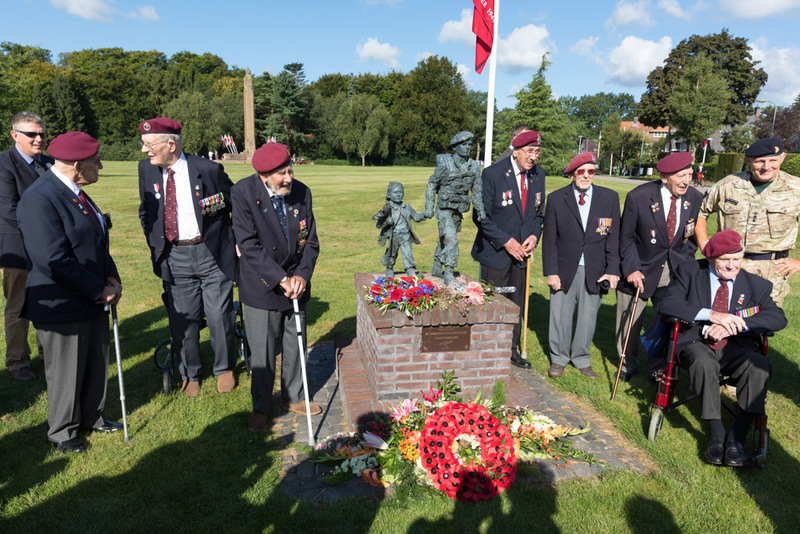 On Saturday 19 September 2015 the annual commemoration of the Airborne landings was held at Ginkel Heath, Ede, The Netherlands. Due to low clouds the morning para drops were cancelled. 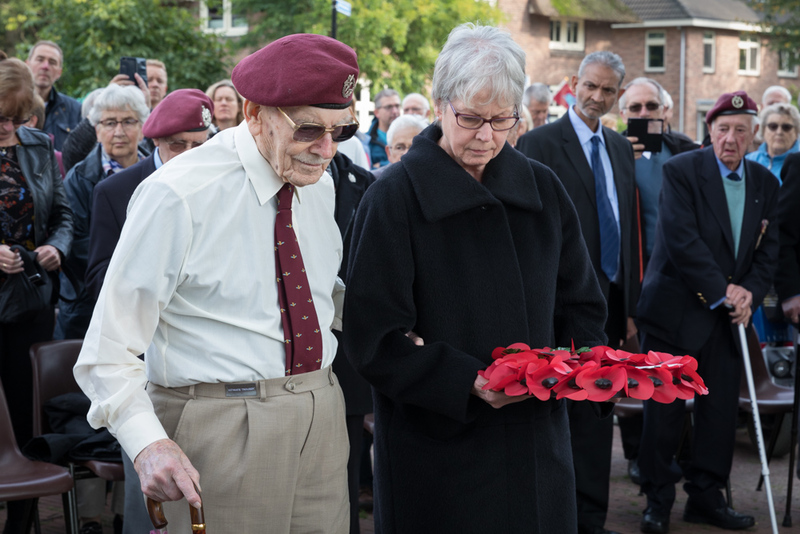 On 18 September 2015 there were three interments of ashes at the Airborne Cemetery in Oosterbeek of Arnhem Veterans that had passed away recently. 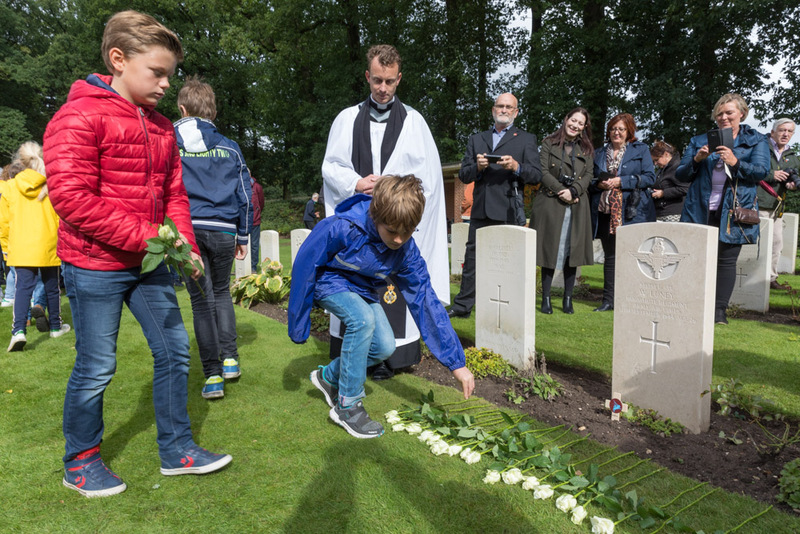 On 16 September 2015 John Joseph Kennel was buried at the Oosterbeek Airborne Cemetery. Many people attended the service despite the heavy rain. 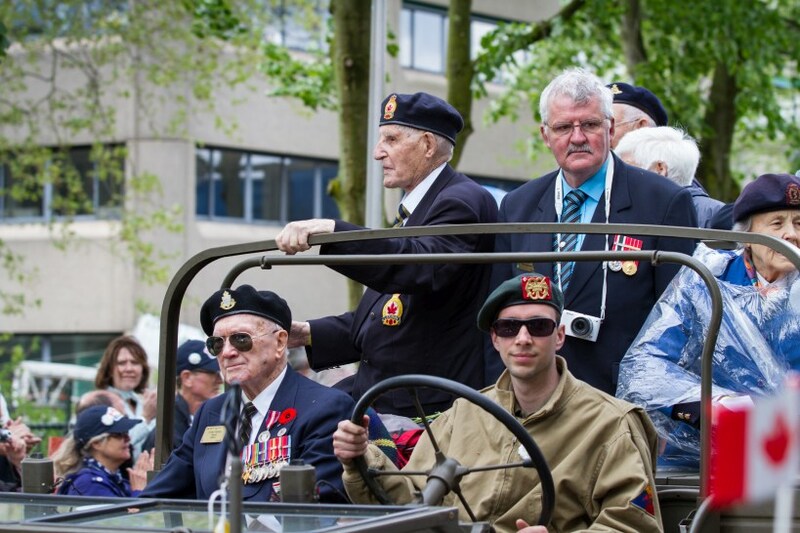 On 5 May 2015 the annual Liberation Parade was held in Wageningen. It was 70 years ago that the German capitulation, and therefore peace in the Netherlands, was signed in Hotel 'de Wereld'. Many foreign veterans attended this event for the 70th commemoration. 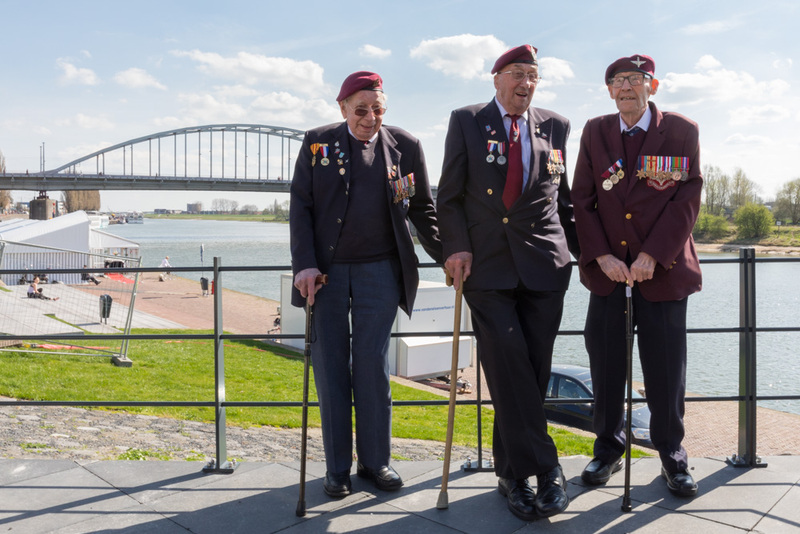 It is likely that this will be the last time that such a large number of World War Two veterans come over to the Netherlands. 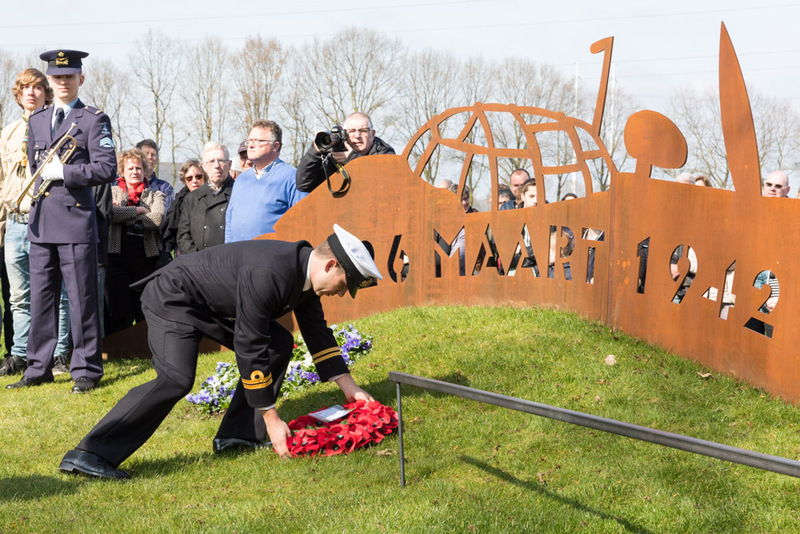 In the period from 3 till 5 May 2015 160 British veterans have a trip to the Netherlands to commemorate that this country was liberated 70 years ago. 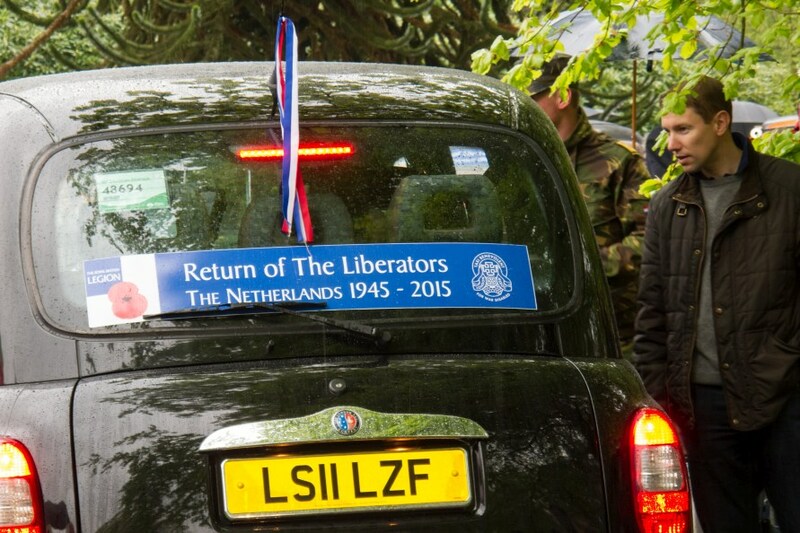 The veterans travel in London taxis. This morning they arrived at Hook of Holland. After lunch at Bronbeek they were hosted at the Airborne museum at Oosterbeek. Despite the rain many people attended this event. For some there was an opportunity for a meet & greet meeting with a couple of the veterans. 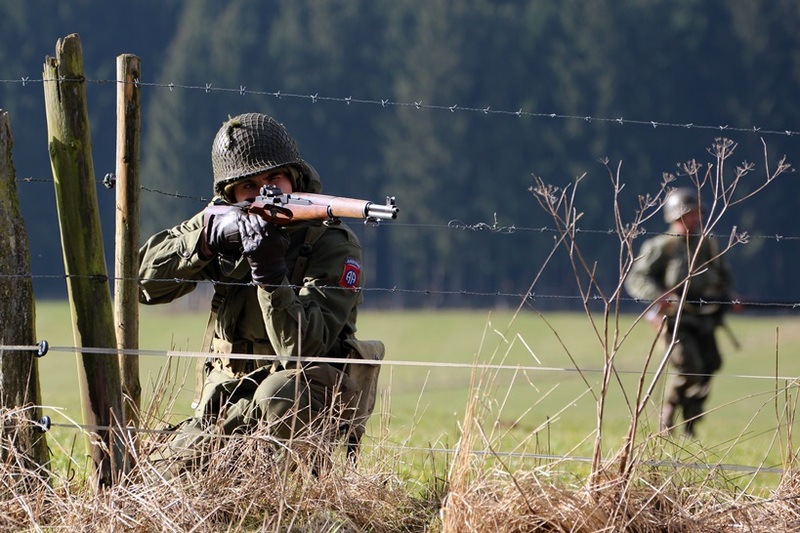 Two years ago we already were present also; In the footsteps of the 82nd Airborne Division is a yearly organized march referring to the battles of the 82nd Airborne Division in the Ardennes. This year the locations that were visited, were related to the 504th Parachute Infantry Regiment. The start and finish were in La Gleize, world famous for its enormous Tiger II Tank. Your reporter left the Netherlands on Friday, in order to drive in two days from the German border in a westerly direction via La Gleize to the farthest point of the German advances during the Ardennes offensive, near Dinant. 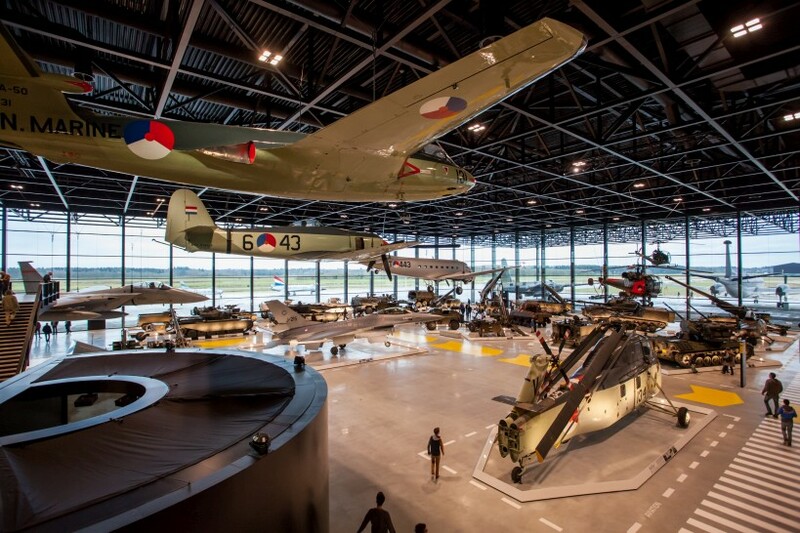 On 13 December 2014 the Nationaal Militair Museum was first open to the public. Since then the museum has been a popular attraction . Your STIWOT reporter visited this unique building on Monday 22 December. Here is his photo report. 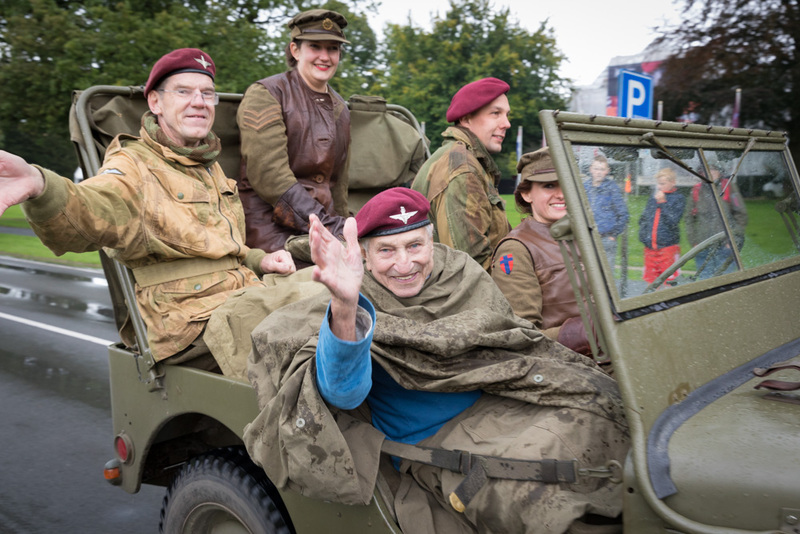 On Sunday afternoon 21 September 2014 a large music and dance party was held in front of the Airborne Museum at Oosterbeek to thank the veterans of the Battle of Arnhem Thank you Mr Veteran. 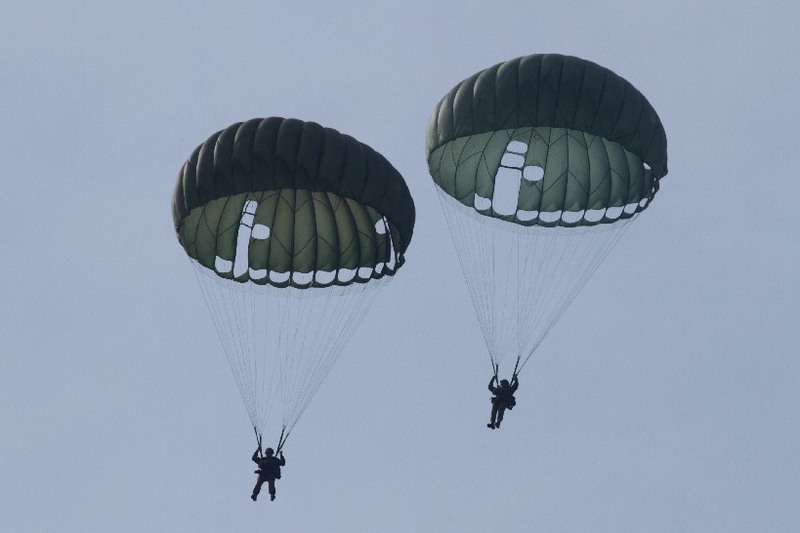 On Friday 19 September 2014 there was a lot going on at former Drop zone X along the Telefoonweg at Renkum. There were a lot of re-enactors and there was a commemorative service at 1:00 PM. 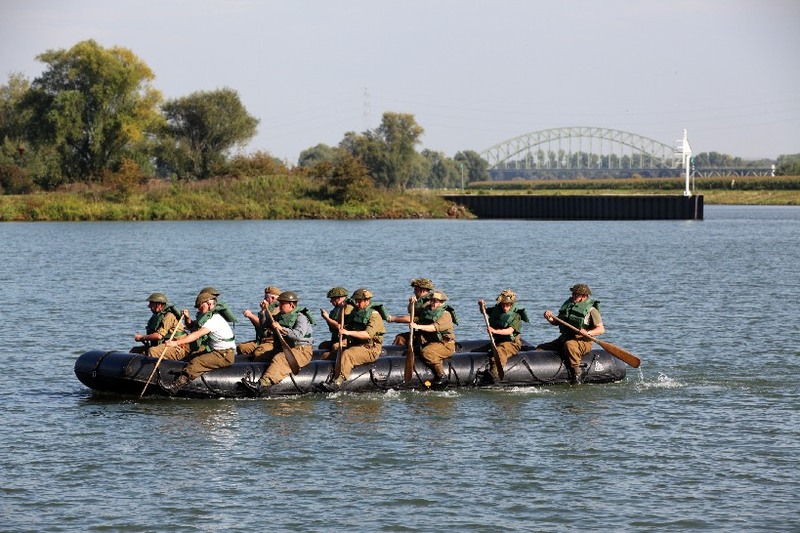 On Thursday afternoon 18 September the Rhine Crossing of September 1944 was re-enacted. The event had been organised by the Liberation Task Force in coöperation with the Koninklijke Landmacht (Royal Dutch Army).